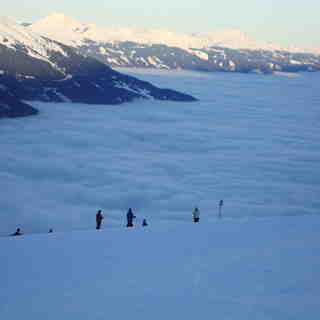 Is it snowing in Zell am See ?Merci! An old city of stately buildings, Zell am See is a delightful place to stroll in, when you are not skiing. The town sits on a mini-peninsula that juts into a pretty alpine lake. 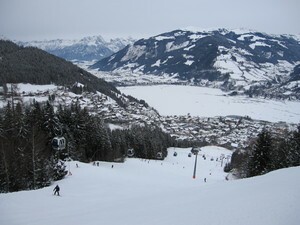 Above the town of Zell am See is the Schmittenhöhe (Schmittenhoehe) ski area, with 46 miles (77 kms) of groomed slopes in open snowfields at the top and trails through the trees on lower sections. But this is only part of the attraction. 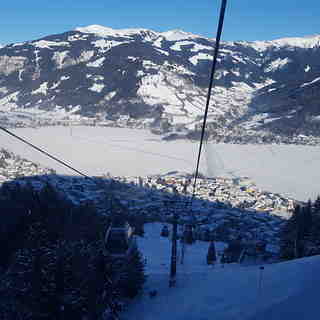 Zell (Zell am See) is partnered with Kaprun and marketed with the smaller village as the Zell am See-Kaprun region. 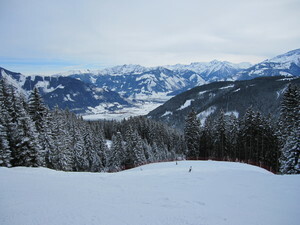 Kaprun (10 minutes away by bus) has vast snowfields on the glacier under the Kitzsteinhorn mountain. 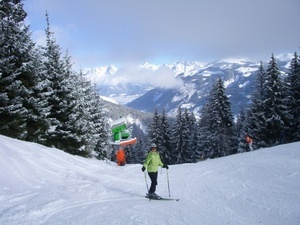 Statistics for the overall region include 80 miles of marked trails, 56 lifts, a highest vertical of more than 2270 metres and a longest run of six kilometres. 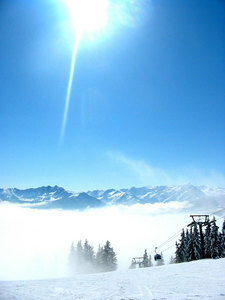 The nearest airport for Zell am See is Salzburg.